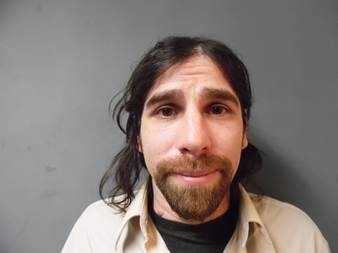 A Norwich VT man was arrested for Aggravated Assault with a deadly weapon in Killington on Saturday. Vermont State Police say Eli Kasper 33, pulled out a firearm while he was being escorted out from the Wobbly Barn Bar in Killington when the assault occurred. Kasper had returned to the bar after being asked to leave for acting intoxicated and staff members were escorting him out when he drew a fire arm. During a brief physical altercation, Kasper dropped the firearm and the staff secured it. Kasper was taken into custody and lodged at Marble Valley Correctional Facility for lack of $50,000 bail. He will be arraigned today in Rutland Superior Court at 8:30 am to answer the charge. Residents take heed, rabid racoons have been found in the Cavendish and Shrewsbury VT areas. On Friday, March 10, the Vermont Department of Health (VDH) contacted the Town of Cavendish to alert the town to confirm that a rabid raccoon was confirmed in Cavendish, and another in Shrewsbury. To keep you and your pets safe. Do not capture or handle a wild animal, strays or even baby animals, report strange behaving animals, report unknown or strangely behaving animals to a game warden or animal control officer. Have your pets vaccinated against rabies, do not feed wild animals, keep garbage, with tight fitting lids, raccoon-proof your compost, feed pet indoors, and keep pets indoors at night and keep them on a leash during the day and always wear protective when handling wild animals. The Vermont State Police are seeking information on a burglary that occurred on Bowen Hill Road in Weathersfield on Friday. Police report a large quantity of power tools and miscellaneous items were taken. If you have information on the theft or investigation contact Trooper B. Lunderville at the Westminster Barracks at 802-722-4600.